The current rally rolls on, with Friday’s rise overcoming some mid-week price declines. 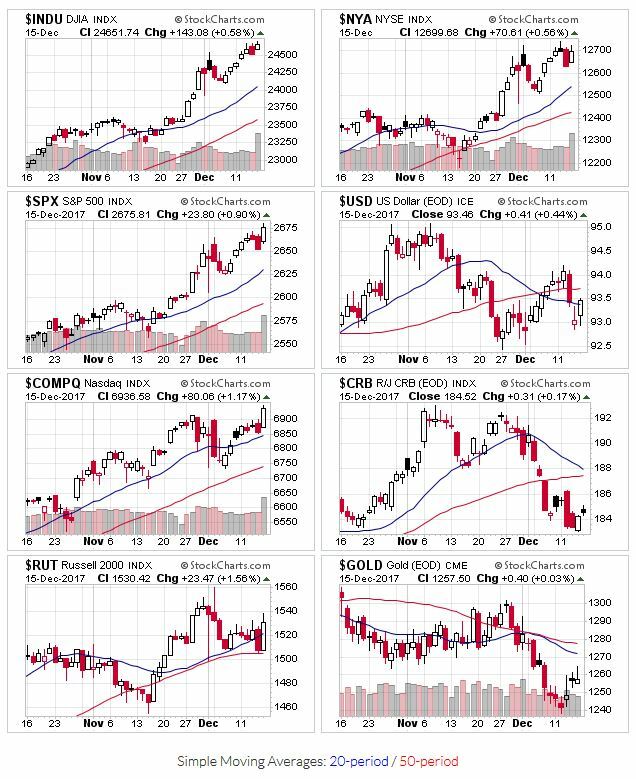 All the market indexes start the week above their 20 and 50 day moving averages, per the norm. No change in the price and volume action last week either. Despite all of the noise generated by the tax plan, its approval didn’t cause breakouts for high quality stocks. There were breakouts, just not from leaders. This price action aligns with the fact that we haven’t had enough downtime for leading stocks to form proper base patterns. On the plus side, you’re probably sitting on some pretty large gains as this rally continues. Best wishes to Tony at OEW on a speedy recovery.